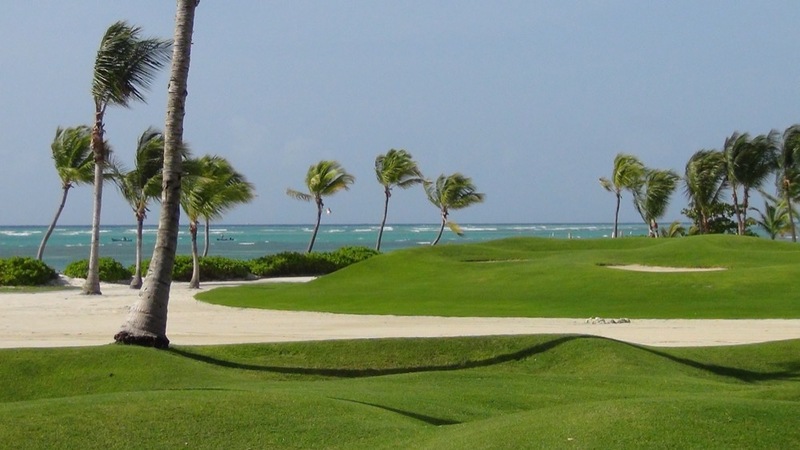 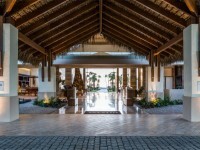 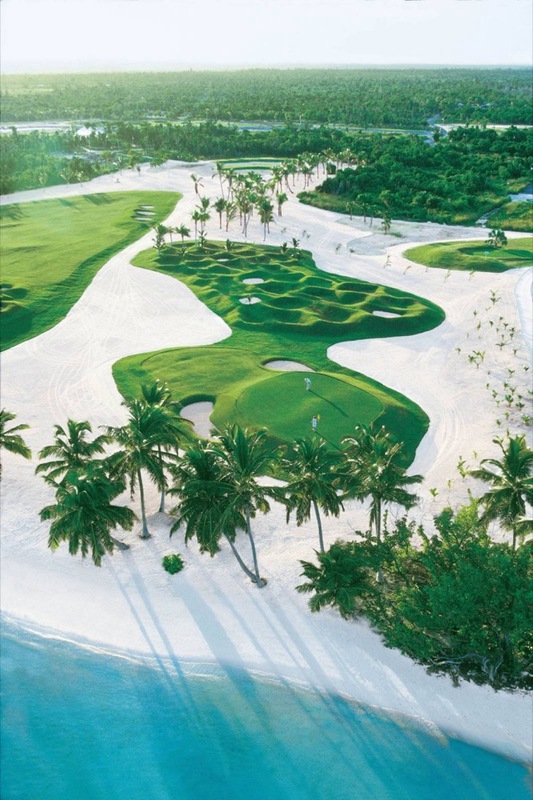 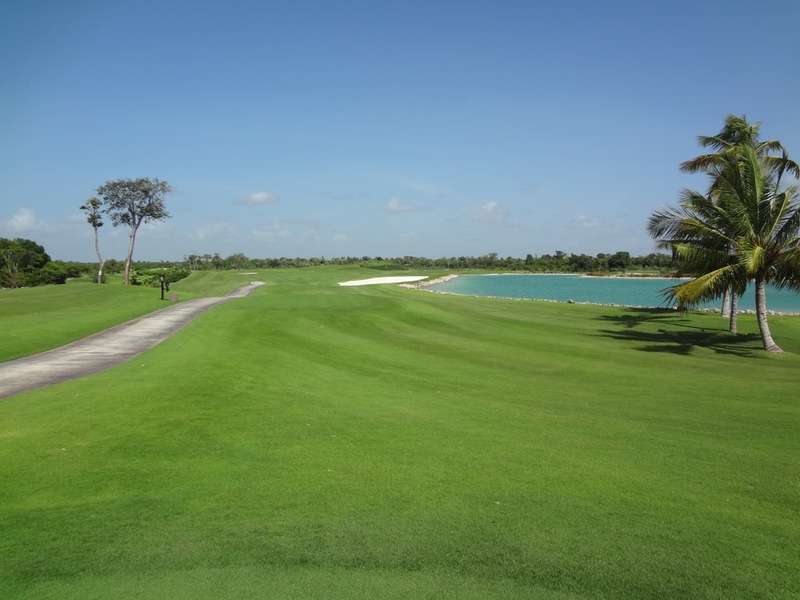 La Cana Golf Club at Puntacana Resort on the Dominican Republic’s eastern coast of-fers 27 holes of resort-style golf that is far different from most resort-style courses, be-cause you will want to play this one over and over again! 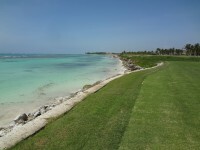 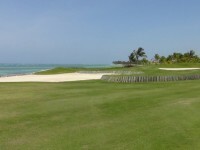 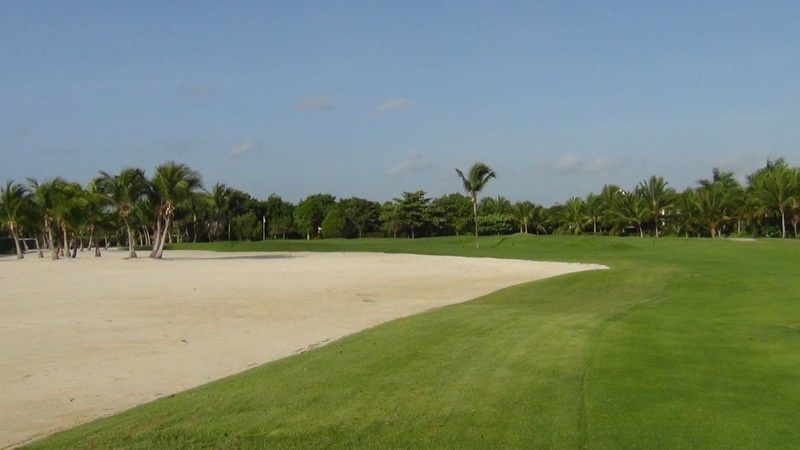 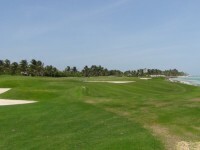 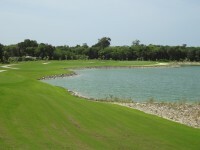 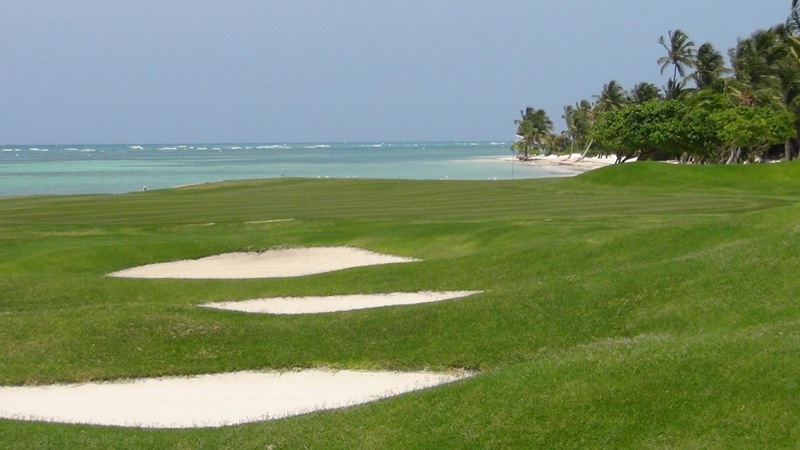 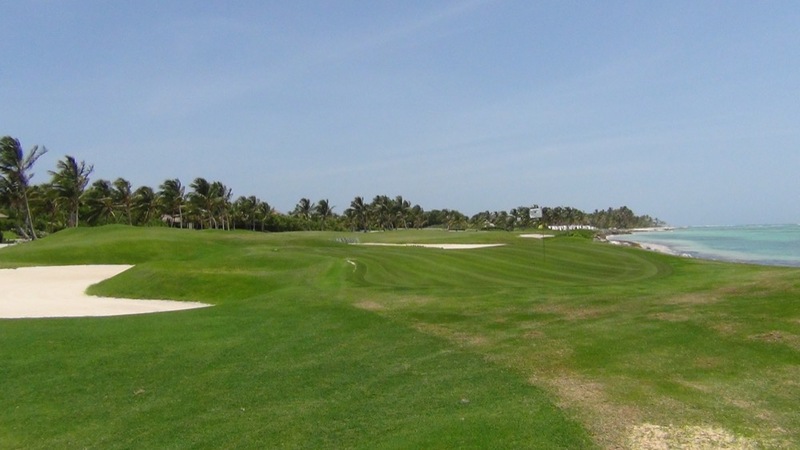 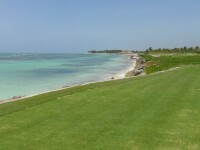 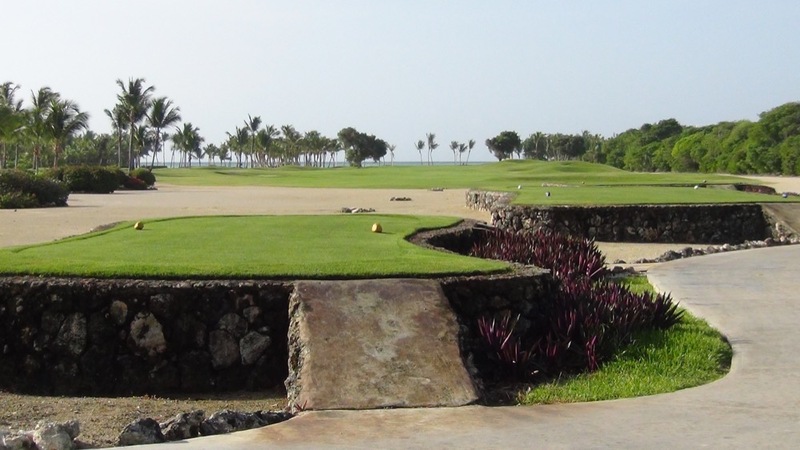 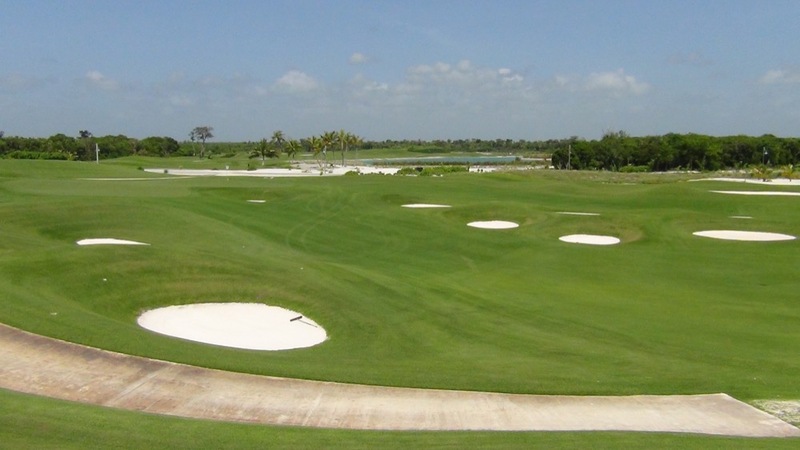 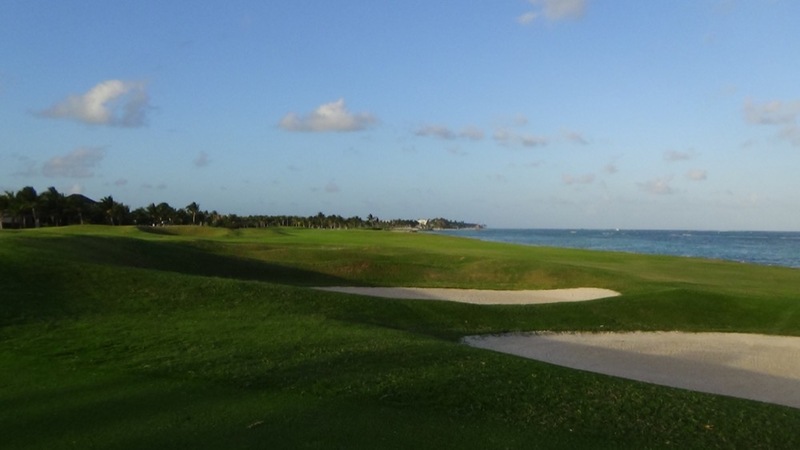 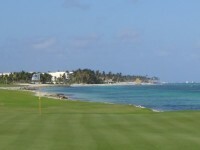 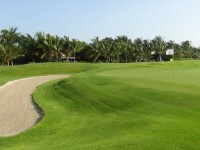 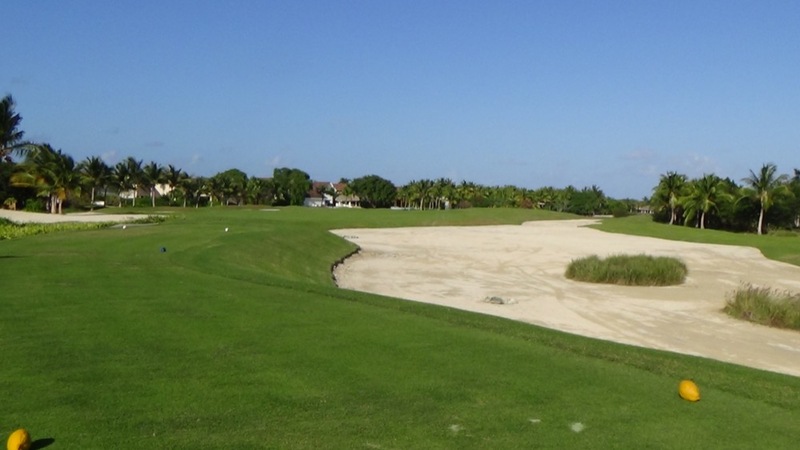 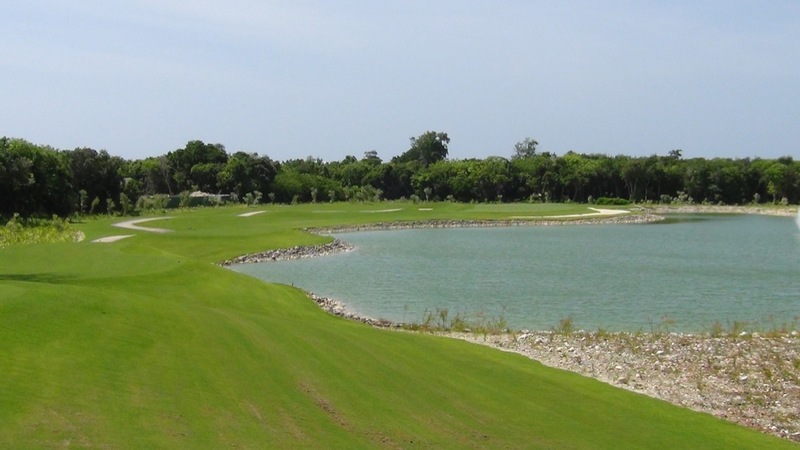 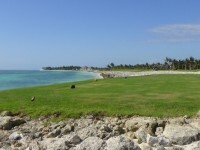 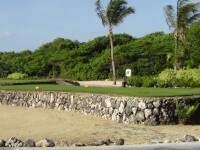 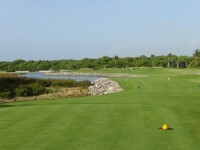 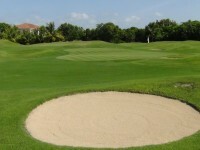 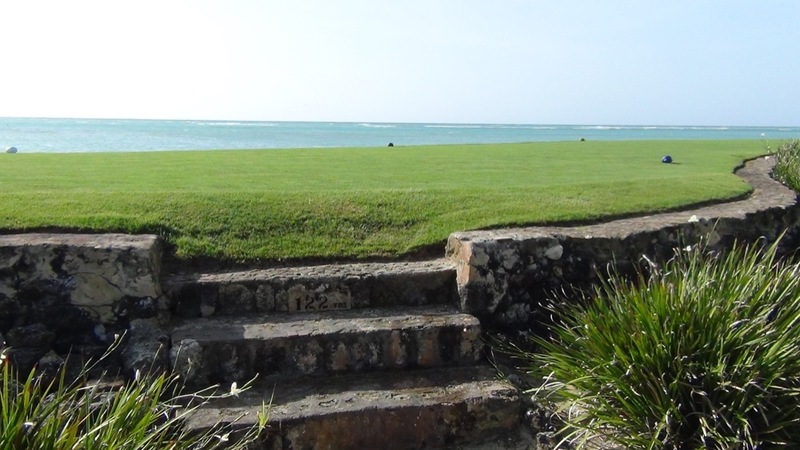 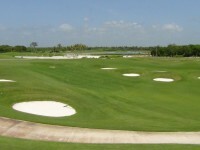 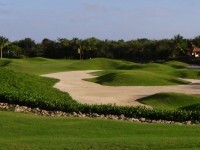 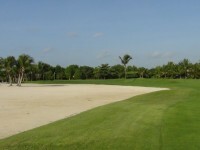 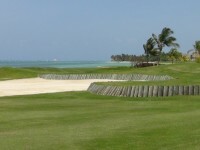 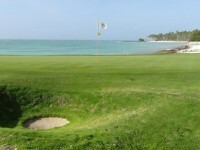 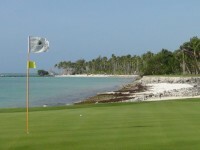 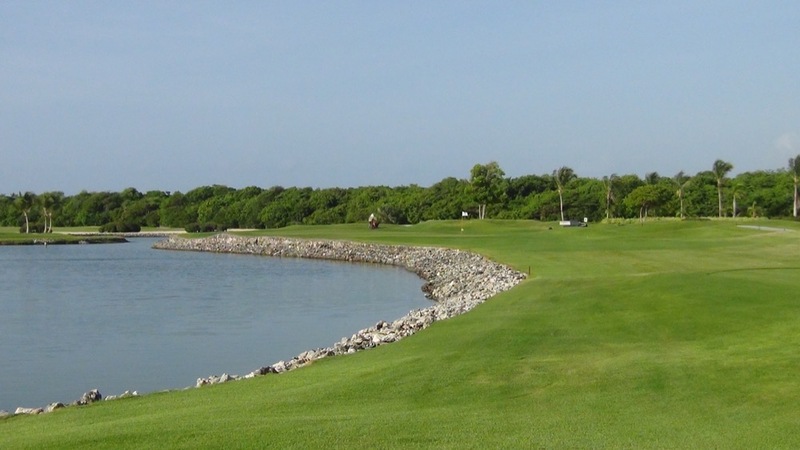 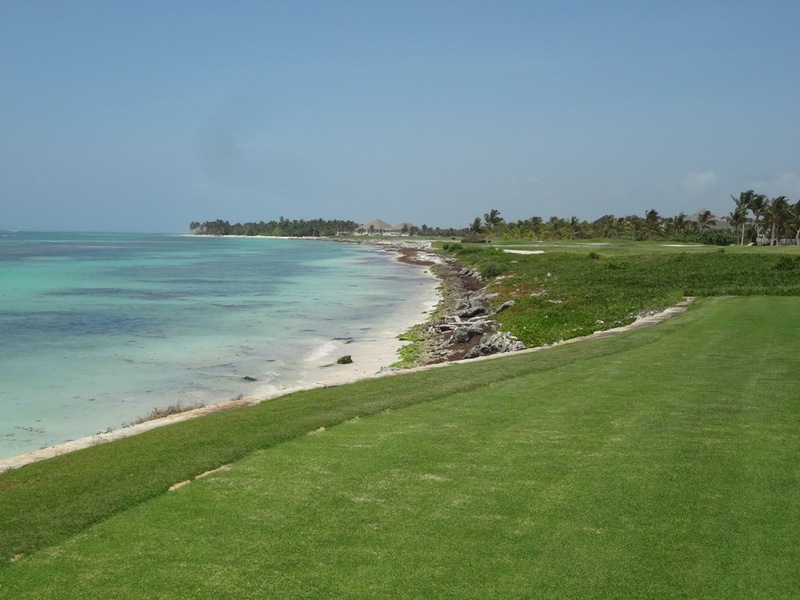 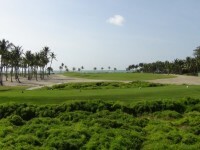 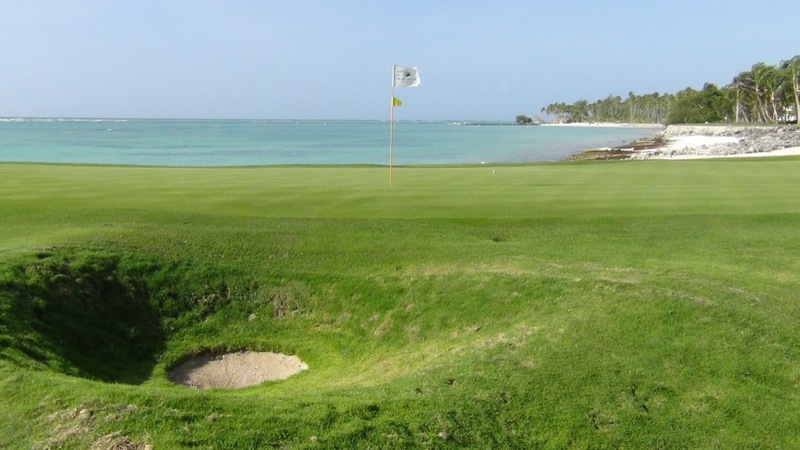 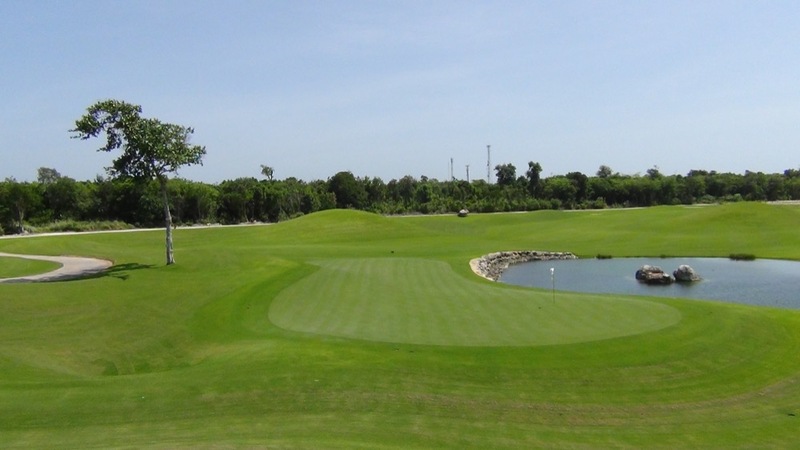 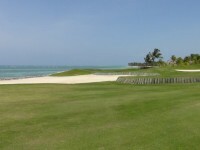 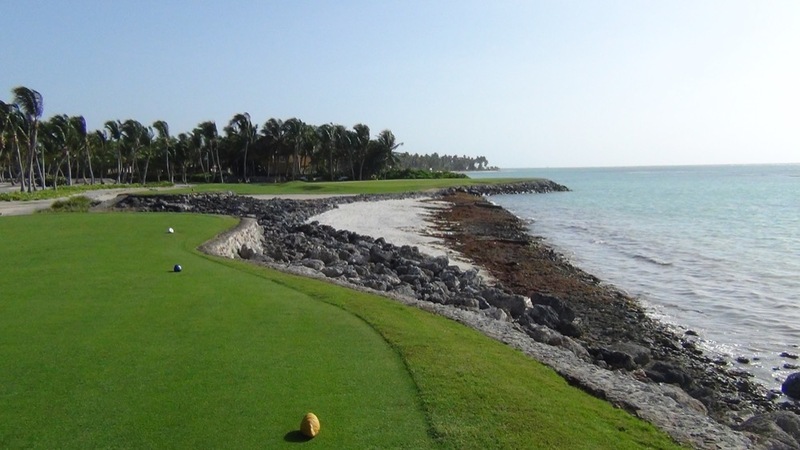 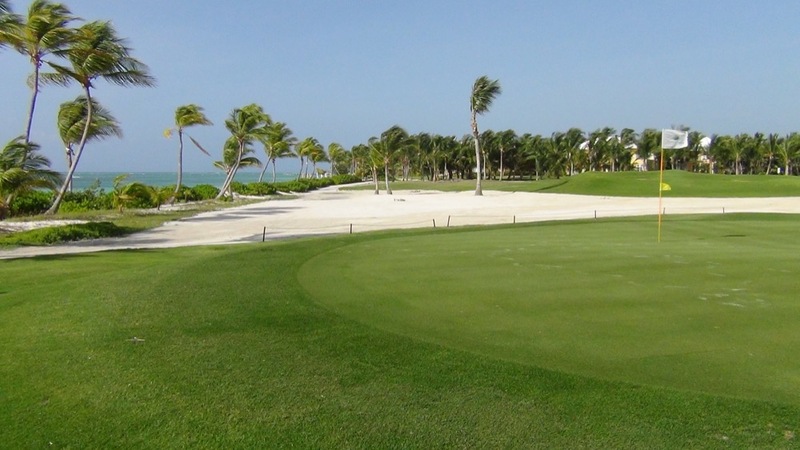 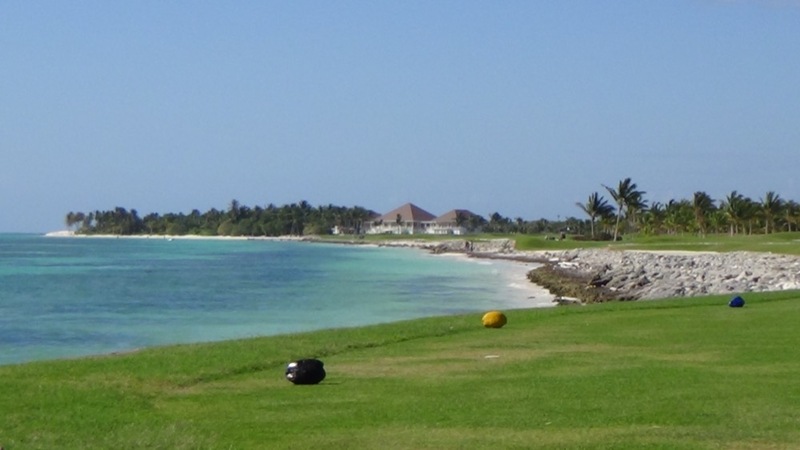 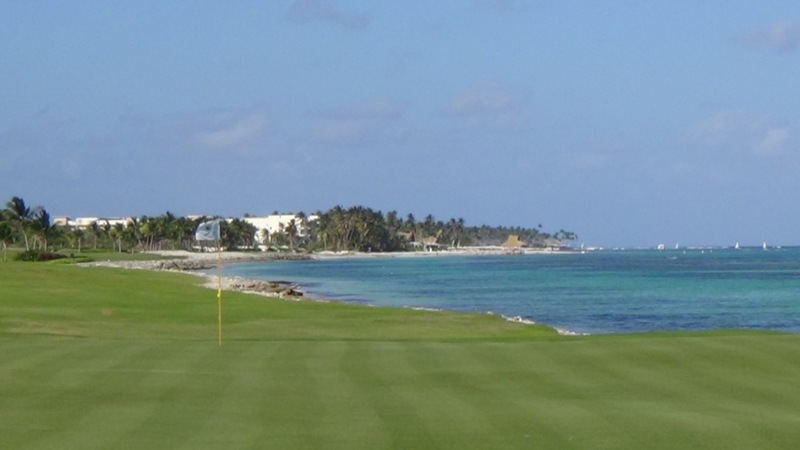 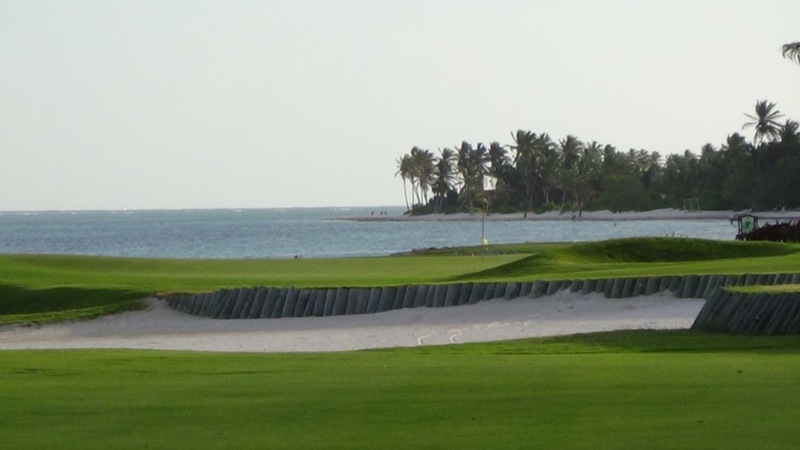 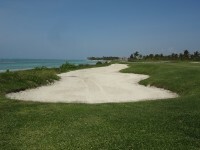 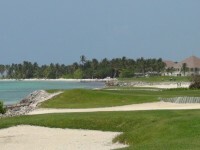 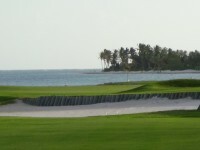 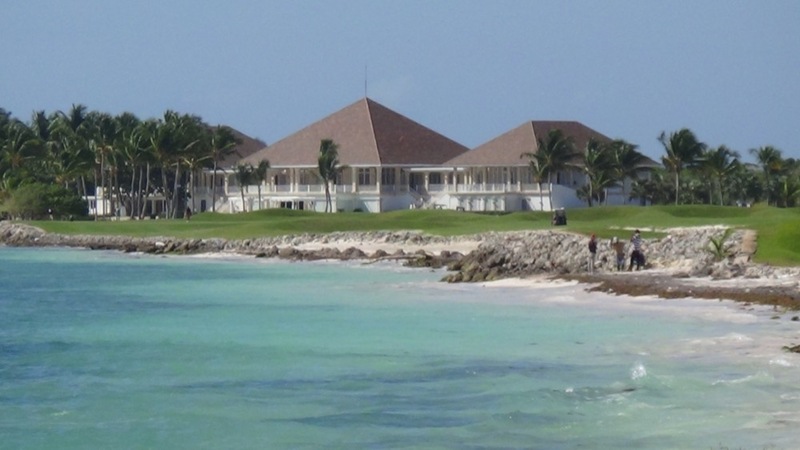 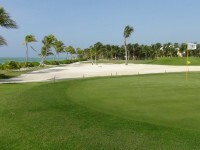 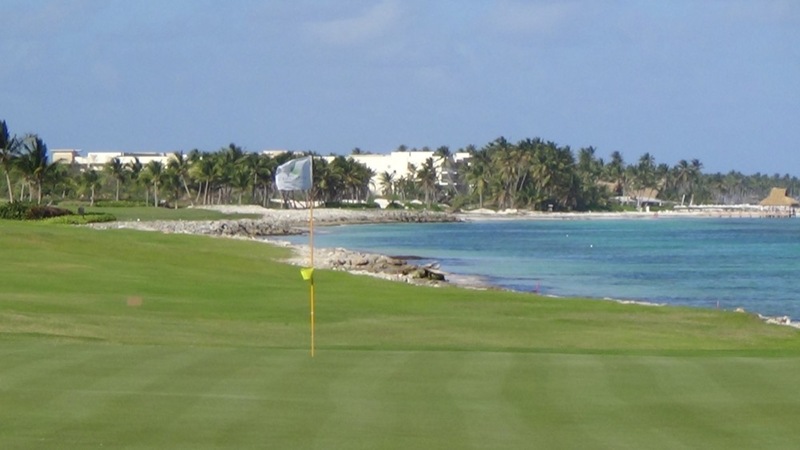 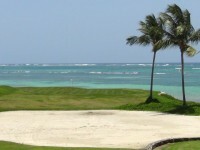 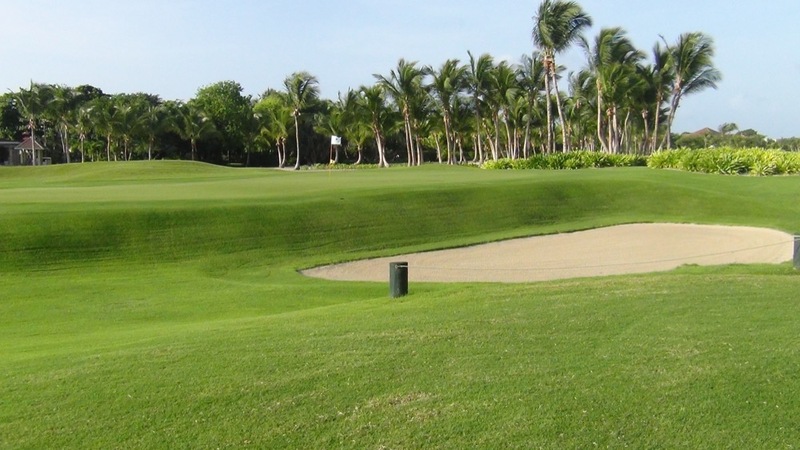 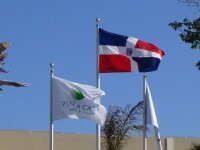 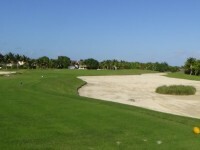 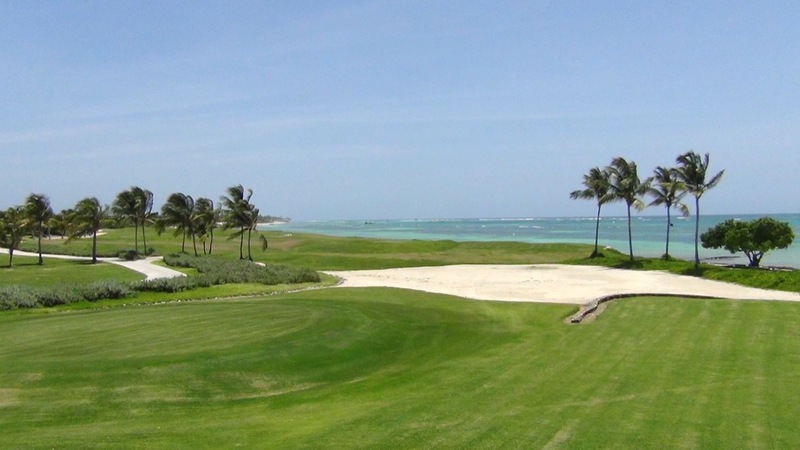 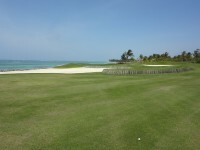 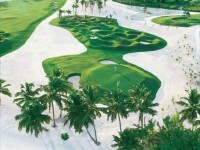 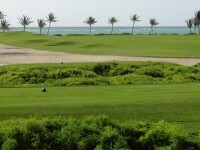 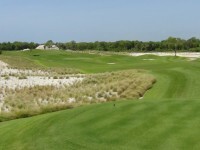 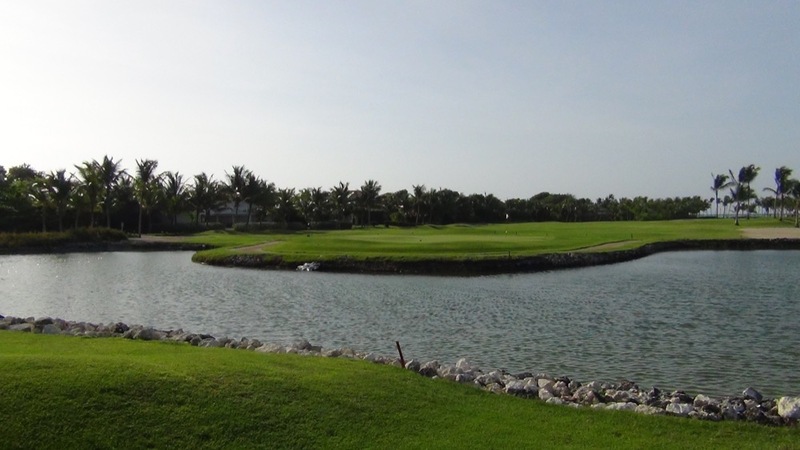 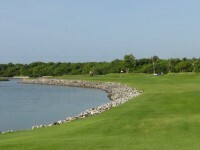 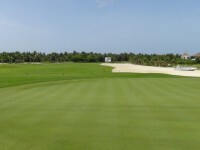 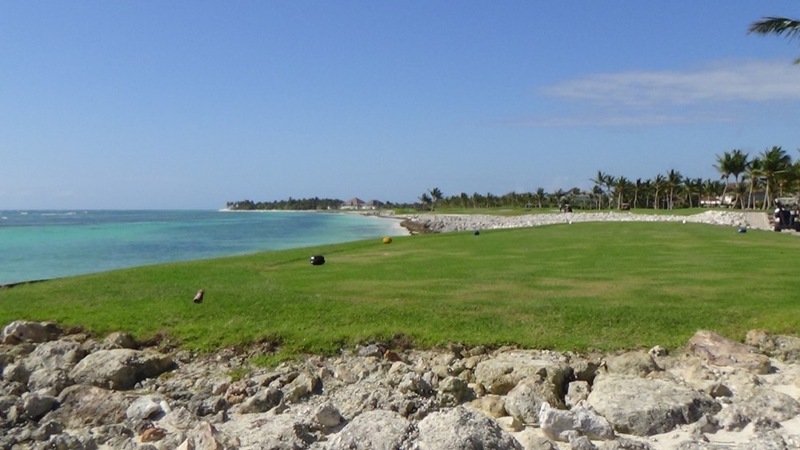 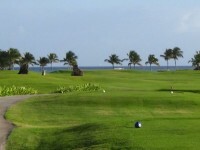 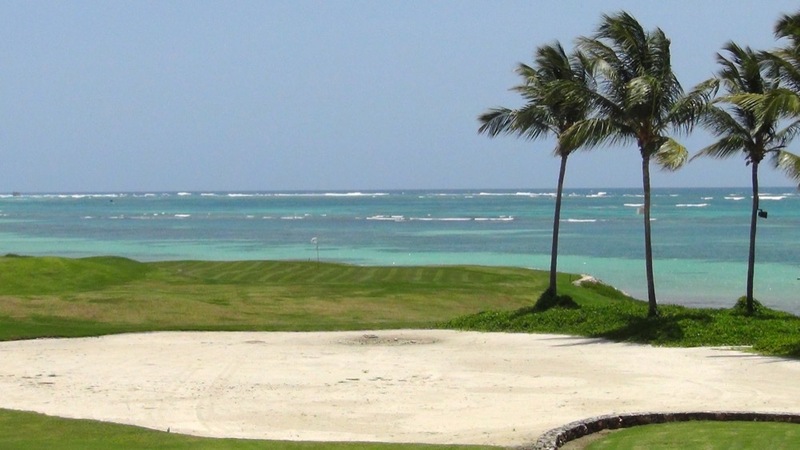 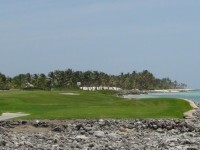 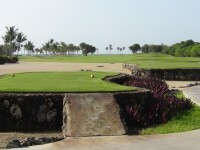 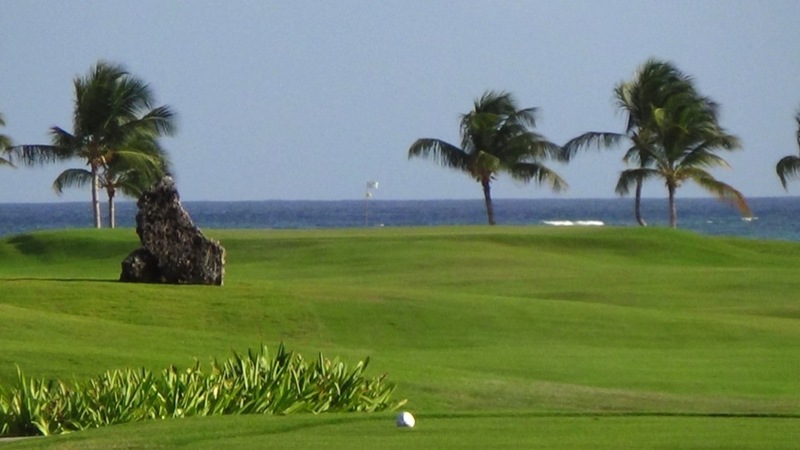 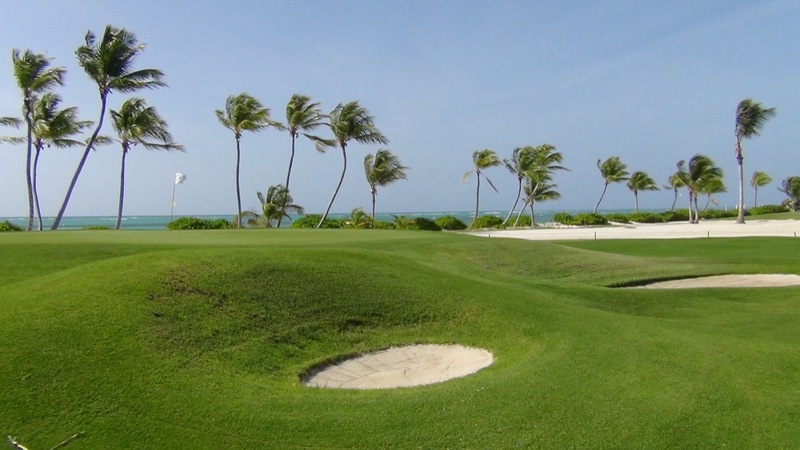 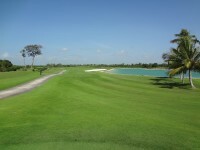 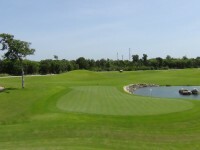 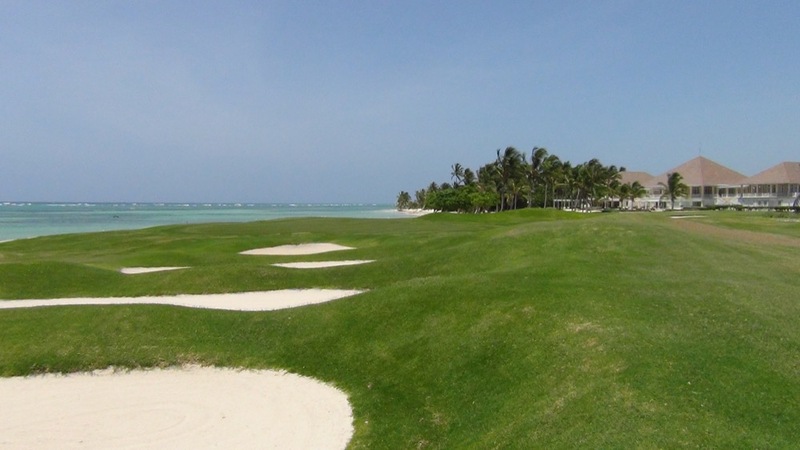 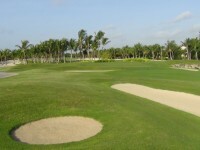 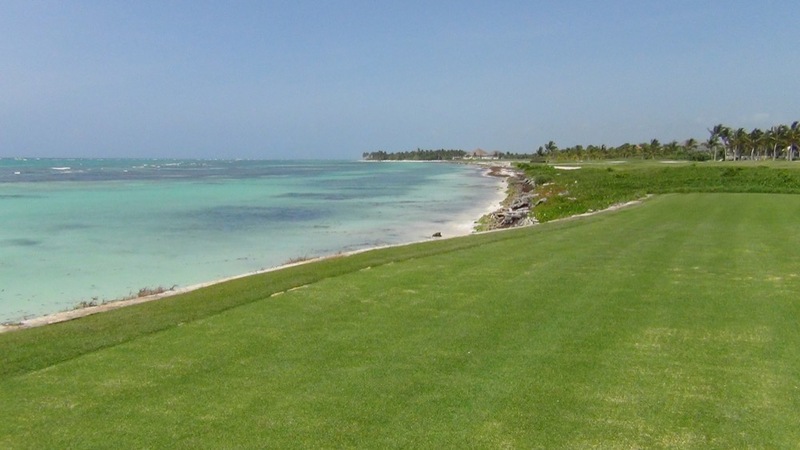 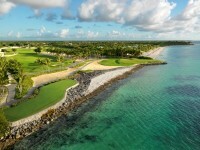 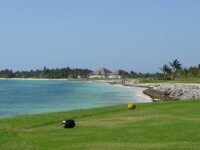 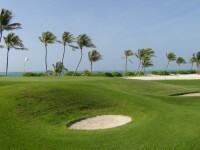 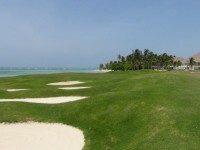 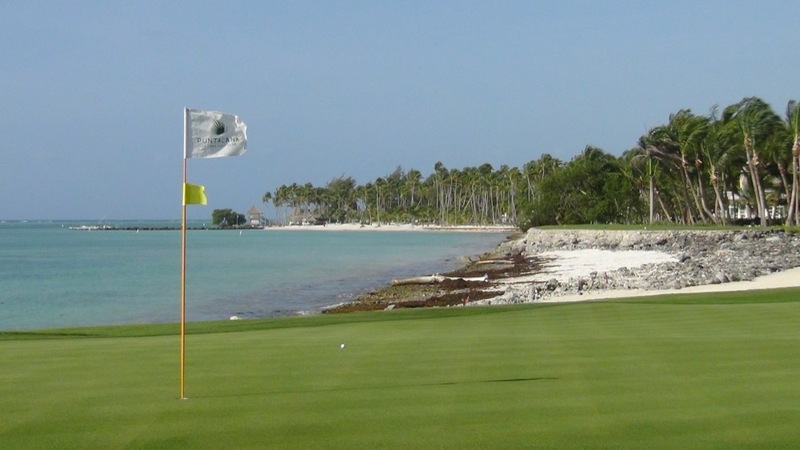 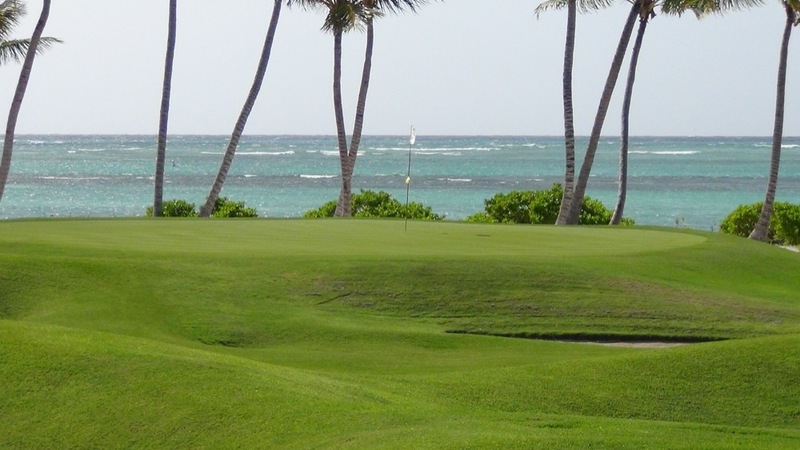 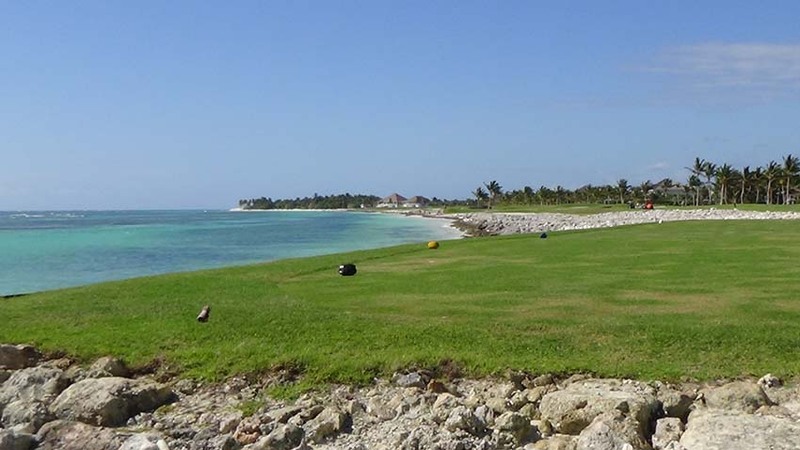 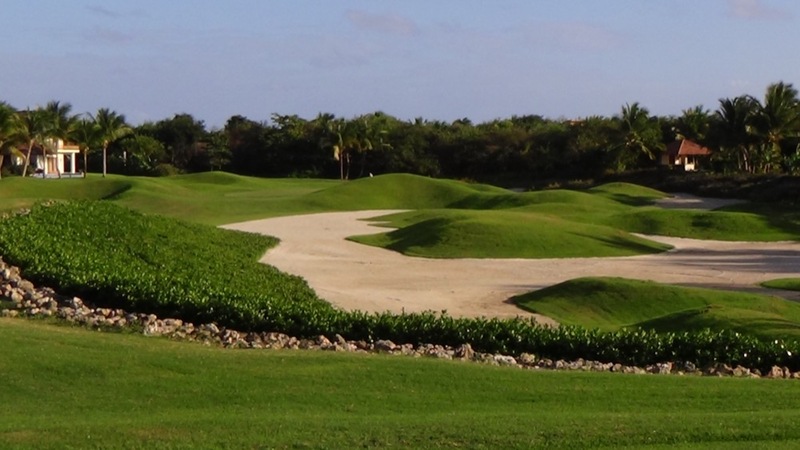 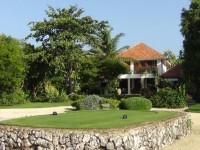 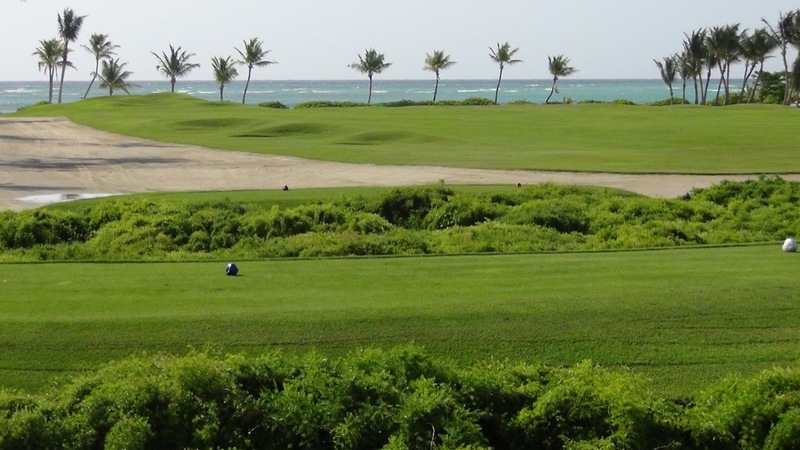 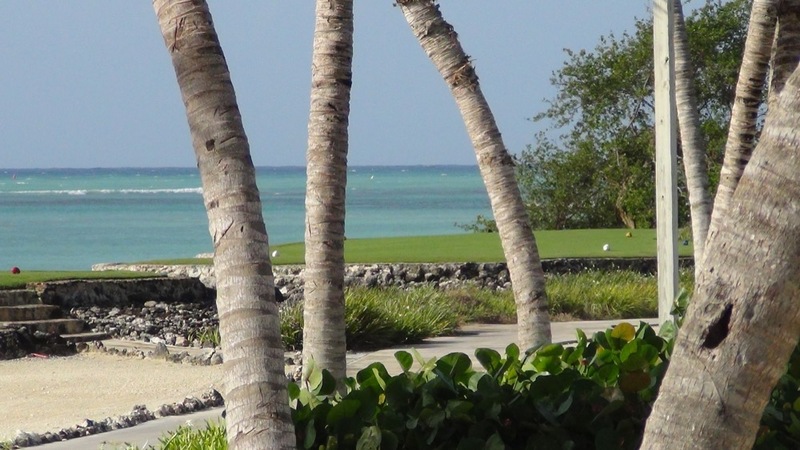 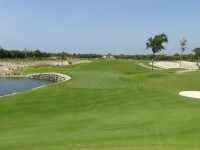 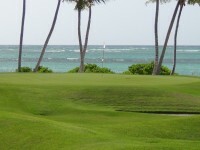 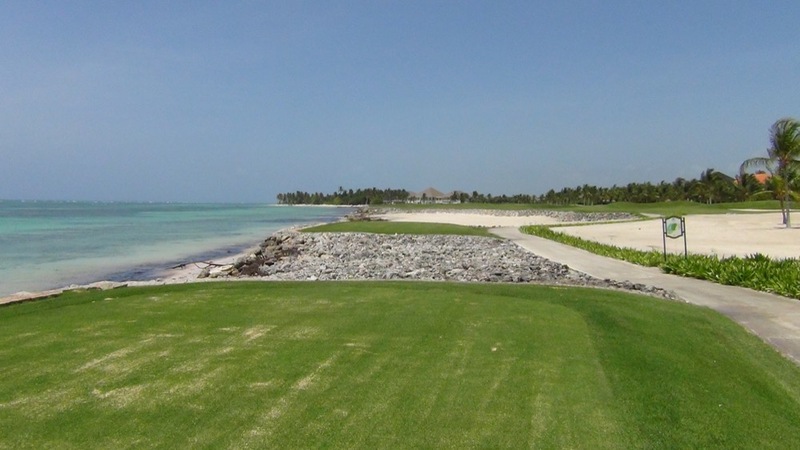 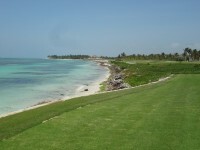 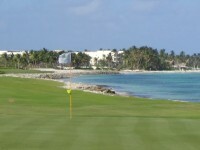 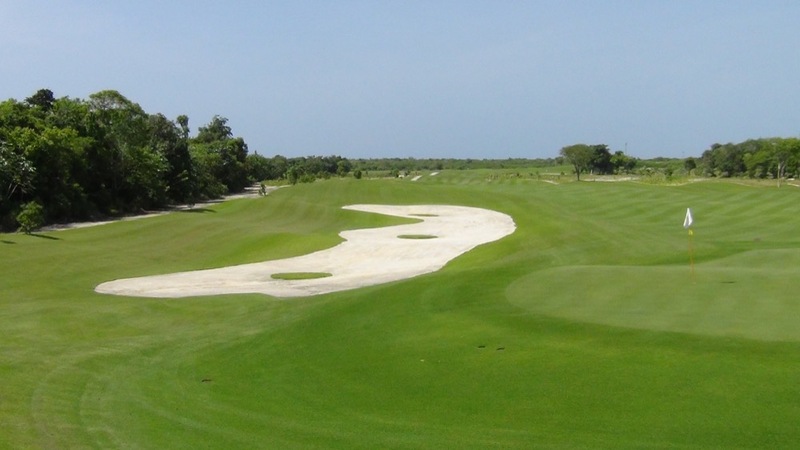 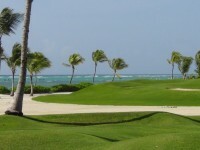 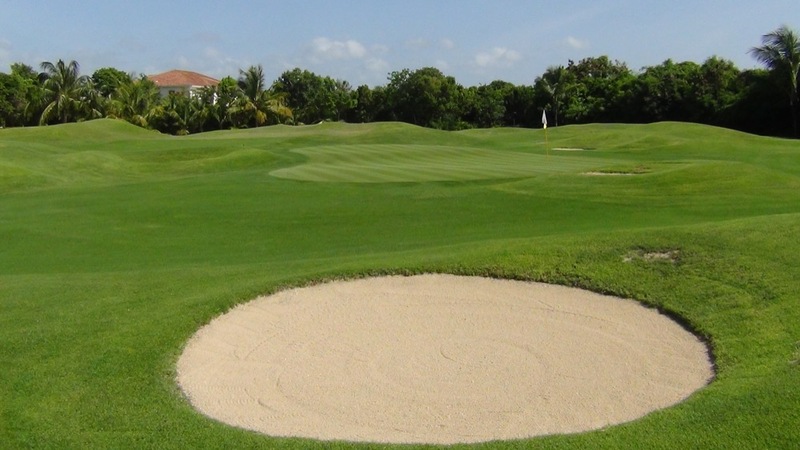 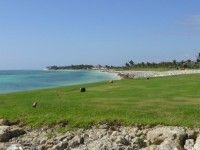 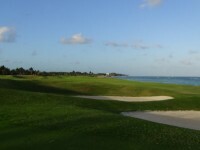 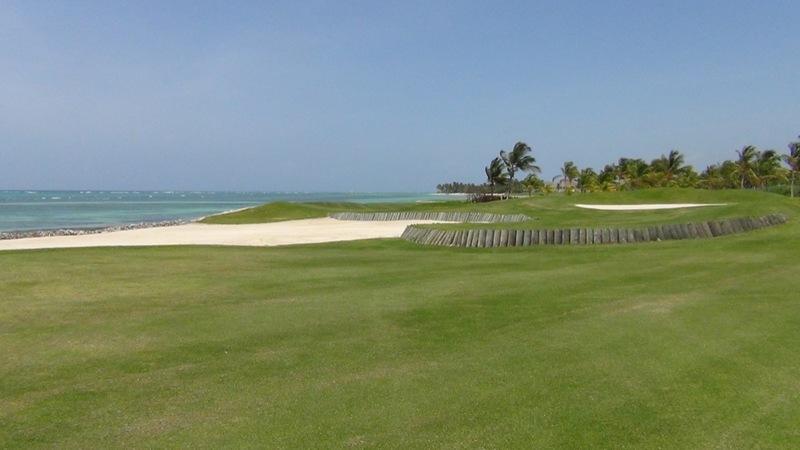 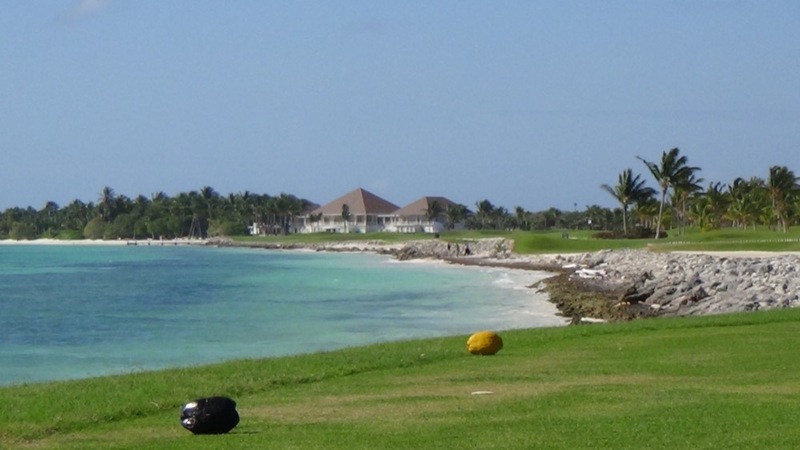 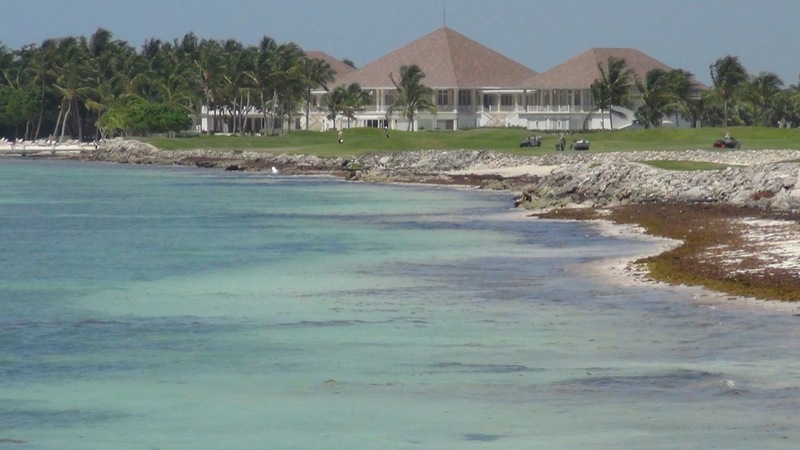 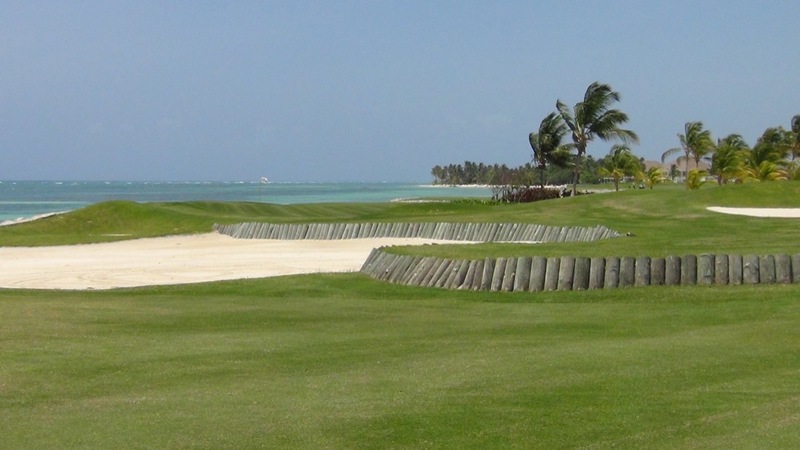 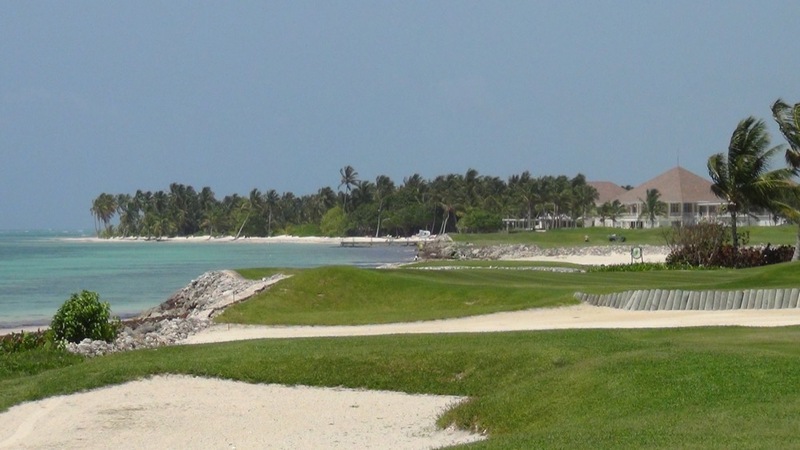 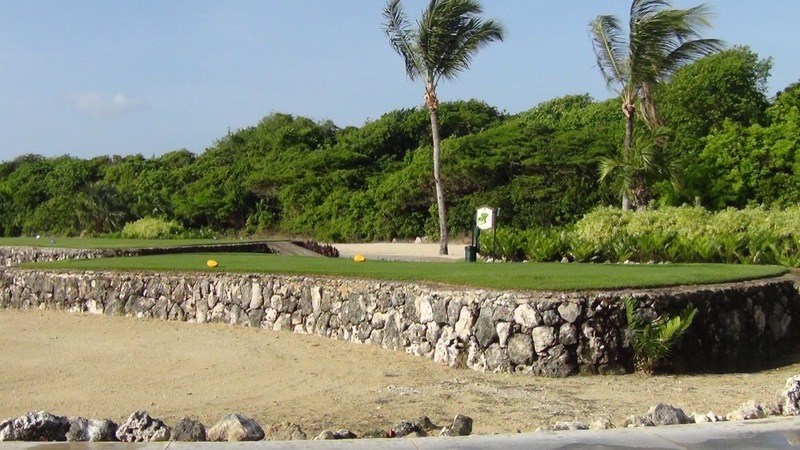 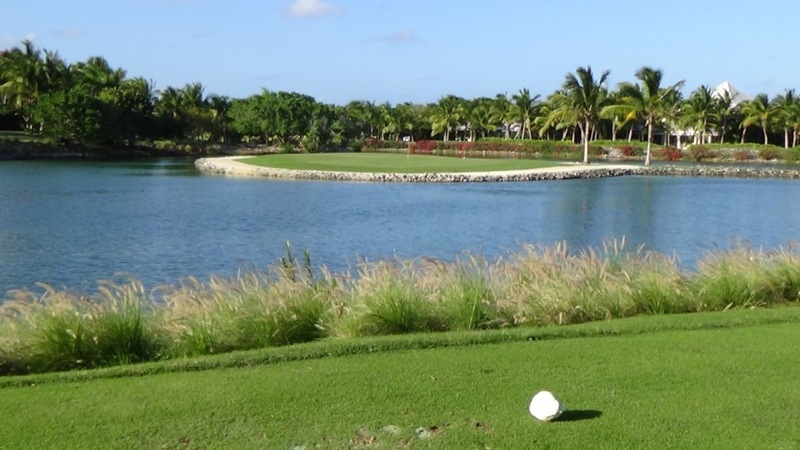 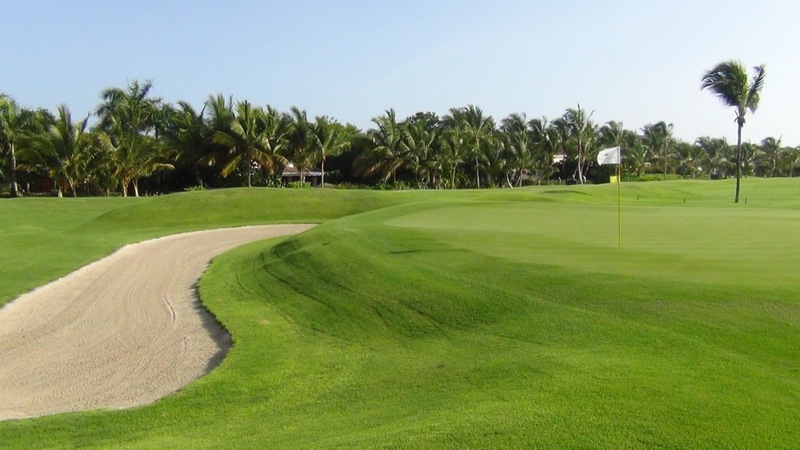 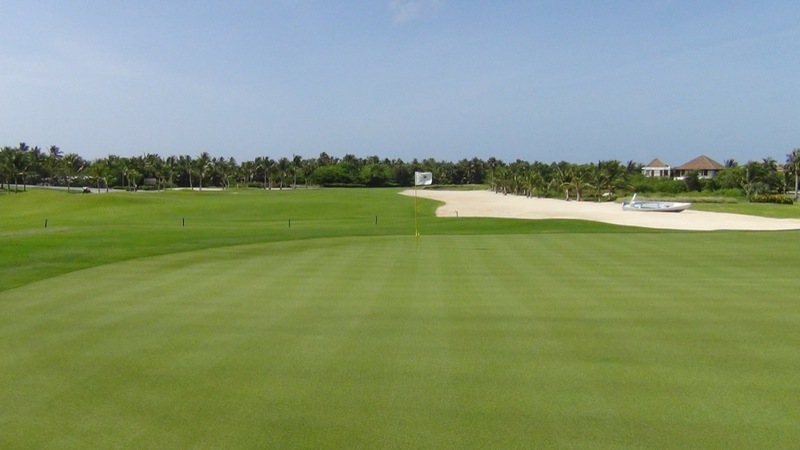 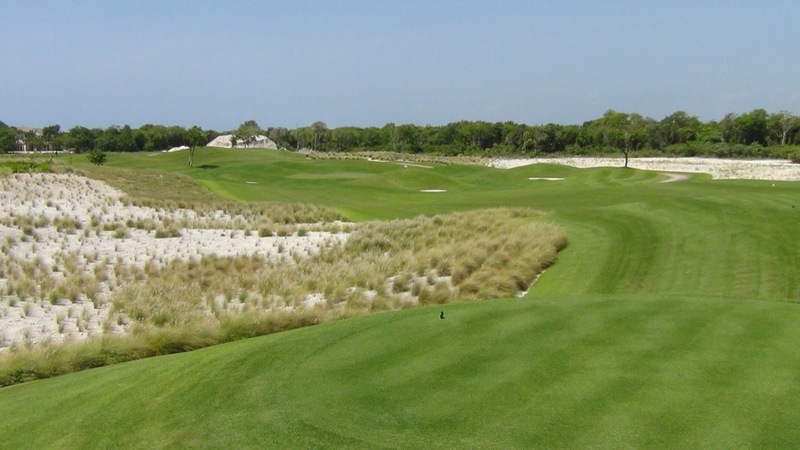 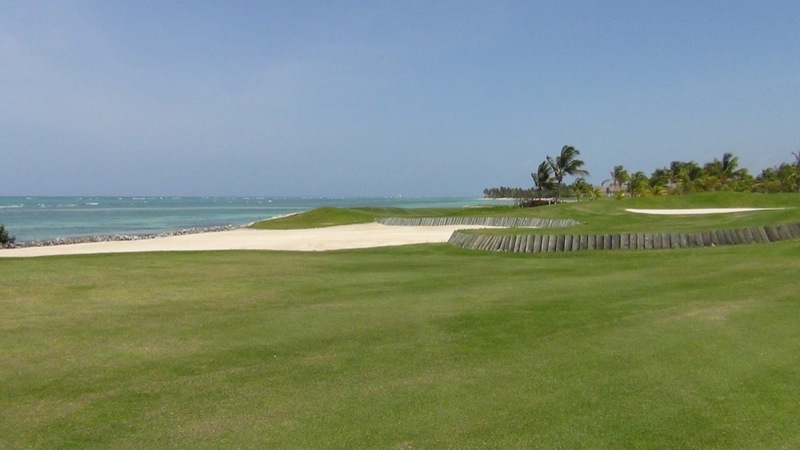 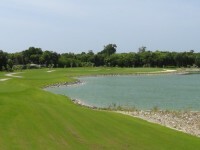 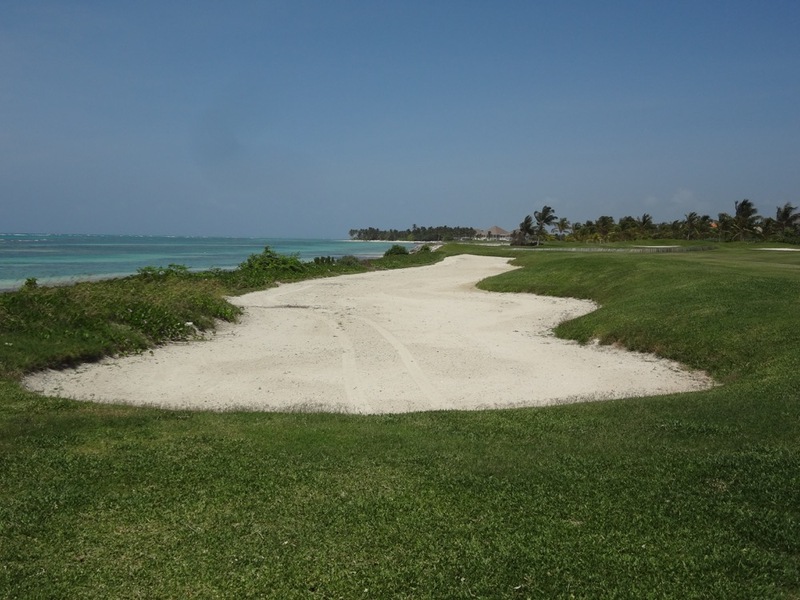 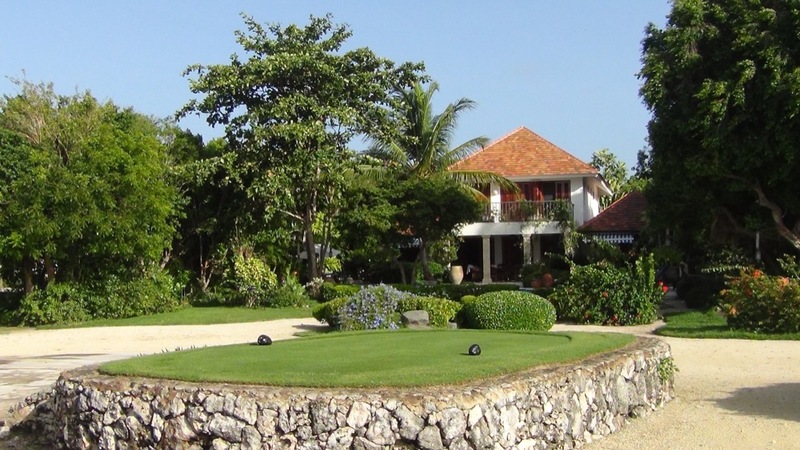 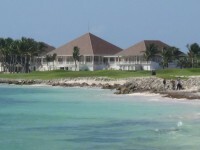 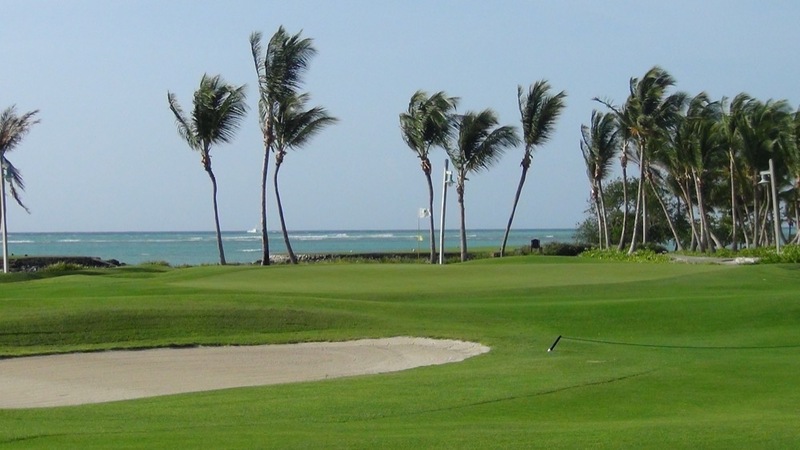 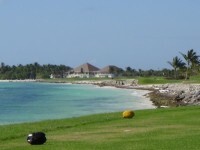 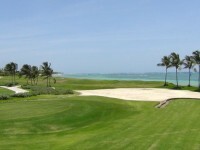 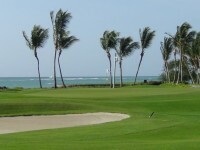 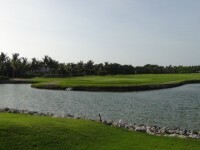 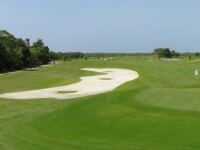 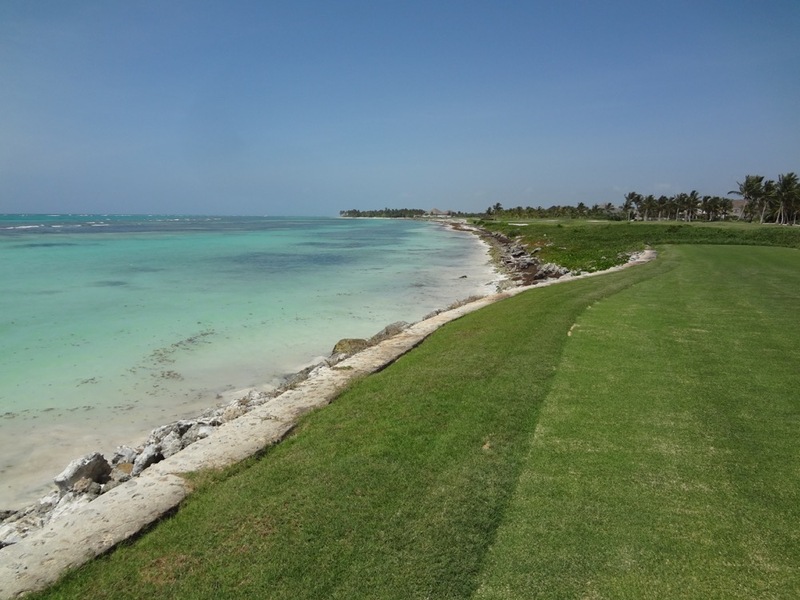 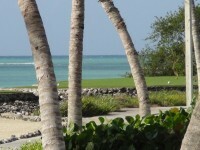 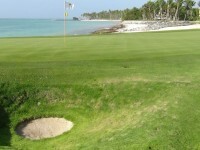 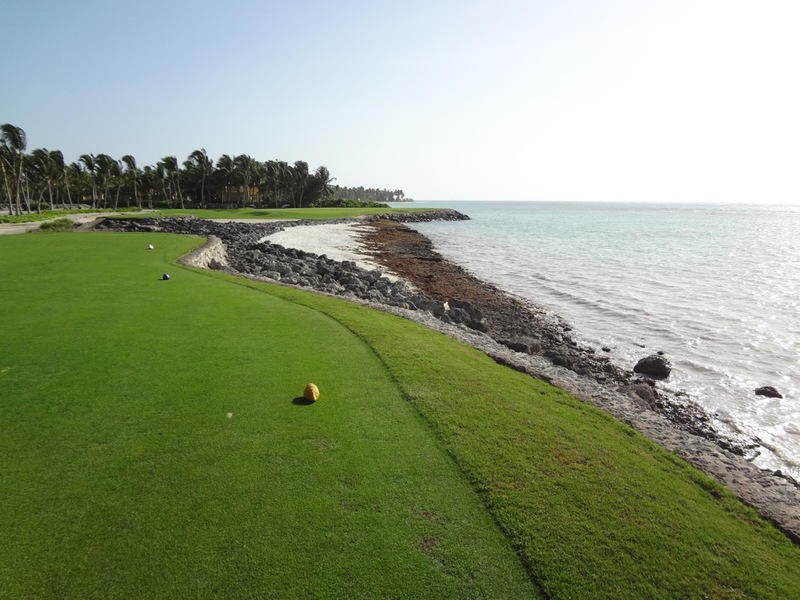 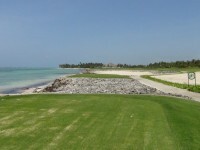 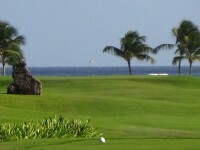 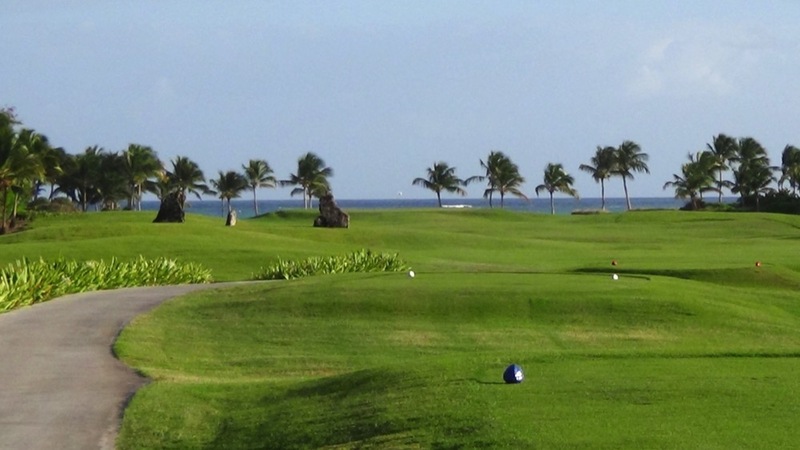 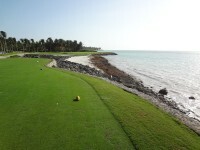 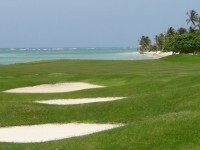 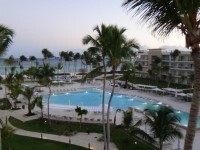 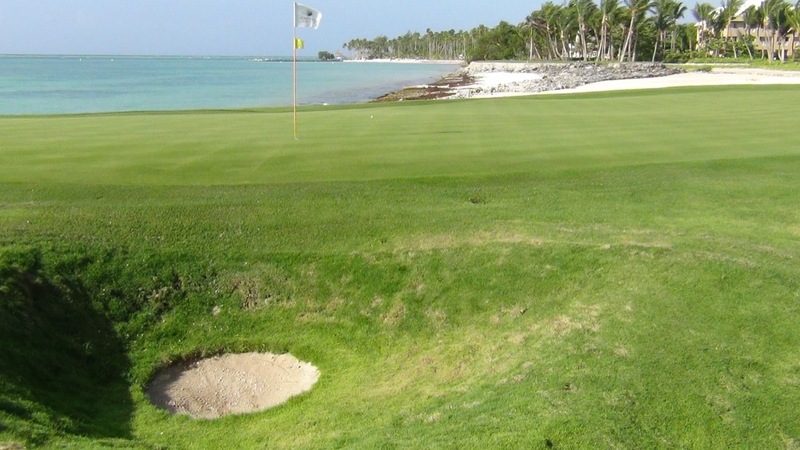 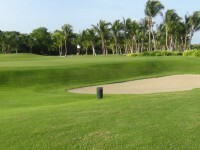 La Cana Golf Club consists of three nines—Tortuga, Arrecife, and Hacienda. 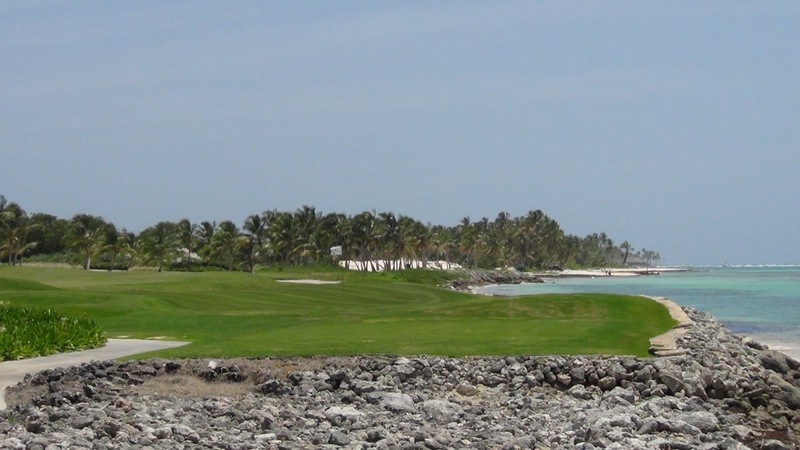 Tortuga and Arrecife made up the original 18 and both of these nines touch the Caribbean Sea. 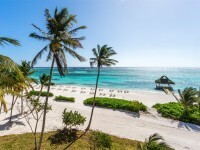 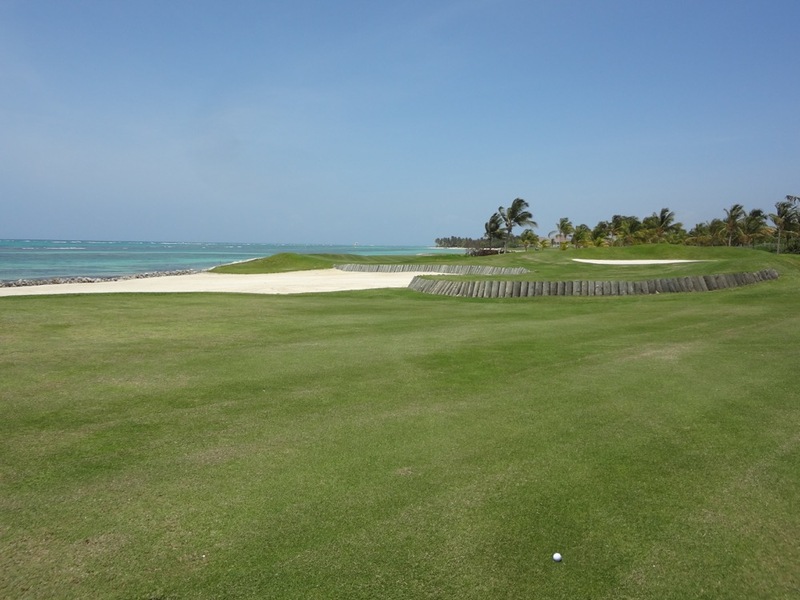 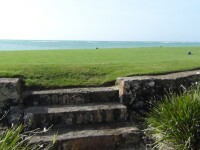 And not “barely”…here the ocean is in play unlike many domestic seaside resort courses and it begins with the par-3 5th hole over an inlet of the Caribbean. 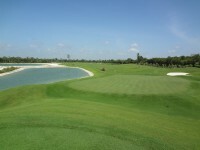 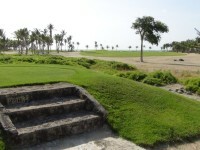 Then, 17 and 18, on the Arrecife nine, fin-ish in grand style with two challenging par 4s hugging the beach to the left. 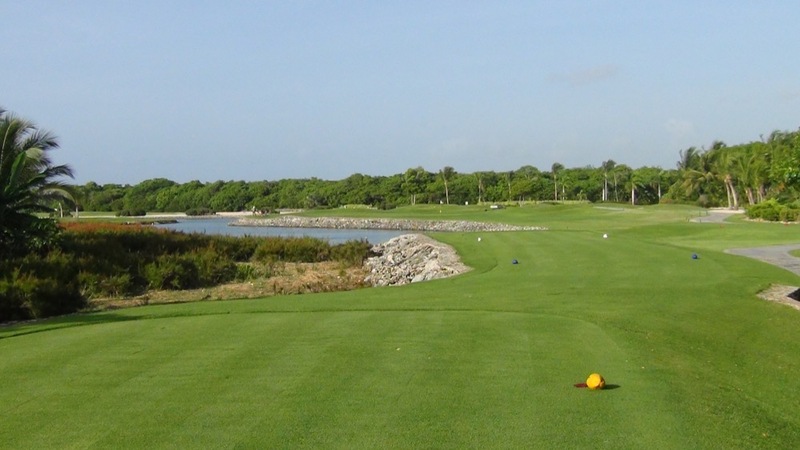 17 is partic-ularly exciting with the approach shot usually requiring a short iron to a green shored up spectacularly with railroad ties. 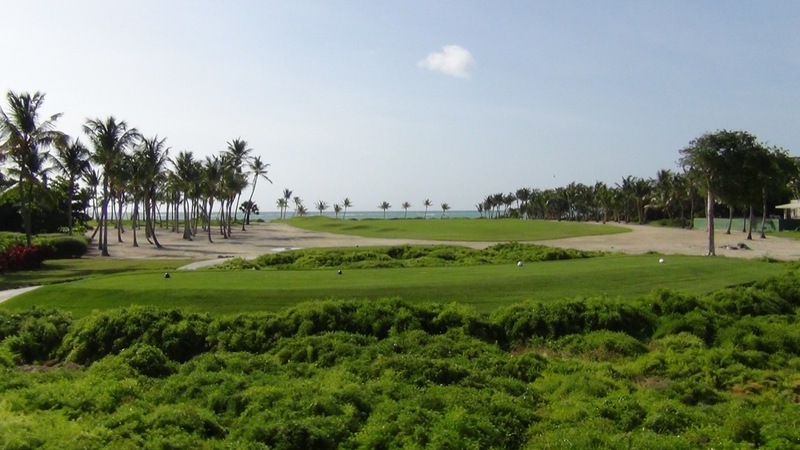 Hmmm, that looks familiar, it’s a TPC Sawgrass look for sure and sure enough La Cana was designed by Dye…Pete’s son P. B.! 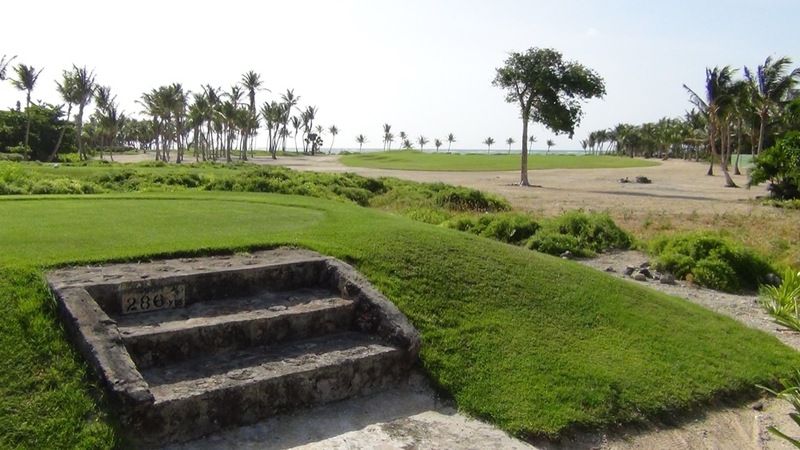 The Dye fami-ly touches are unmistakable at La Cana Gofl Club and they continue on P. B. Dye’s 3rd nine, Hacienda, which brings a completely different experience to the Dominican Re-public golf scene. 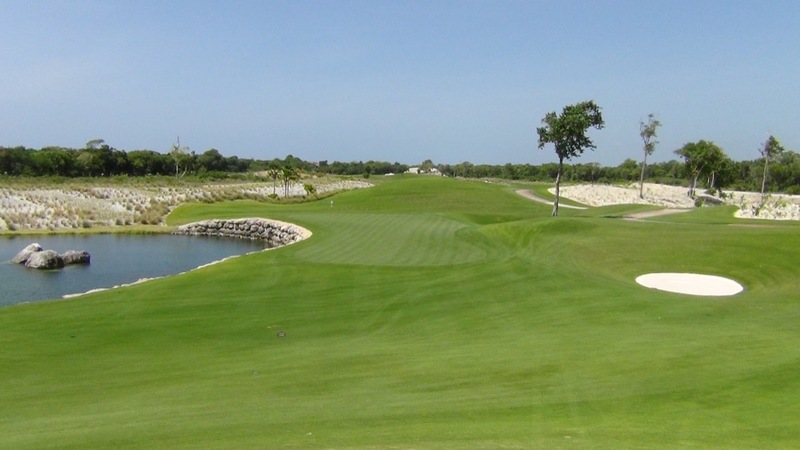 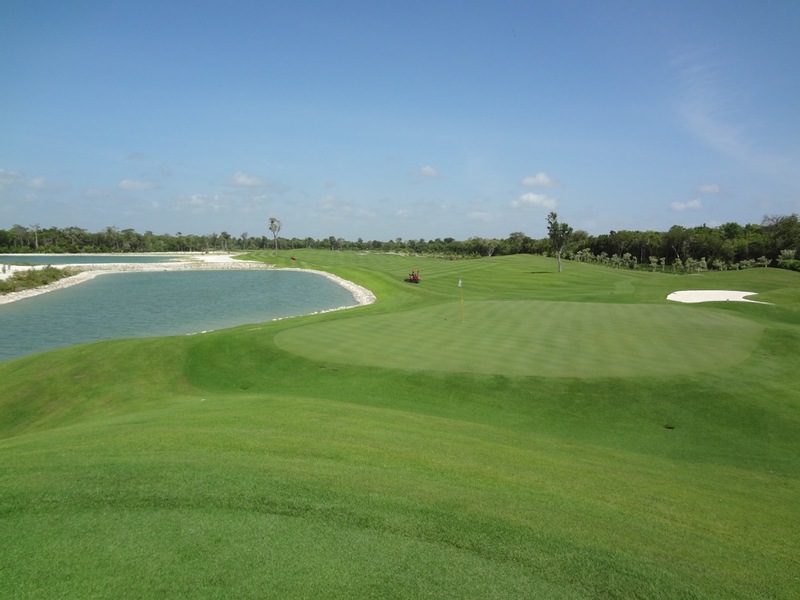 Located inland rather than by the sea, Hacienda incorporates huge, perfectly groomed, wide and undulating fairways with hardly a blade of rough in sight. 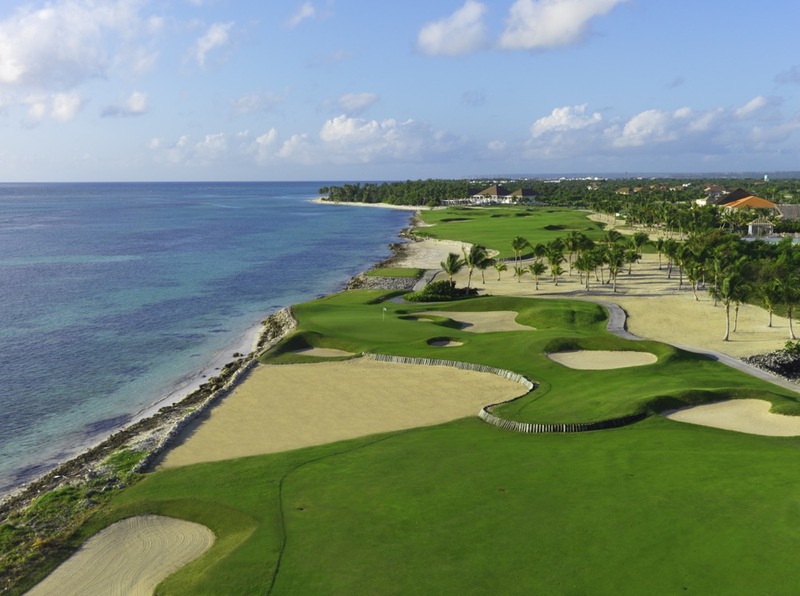 It’s reminiscent of come Crenshaw/Coore designs and what La Cana’s Hacienda nine lacks in terms of ocean frontage, is made up for with strategic design. 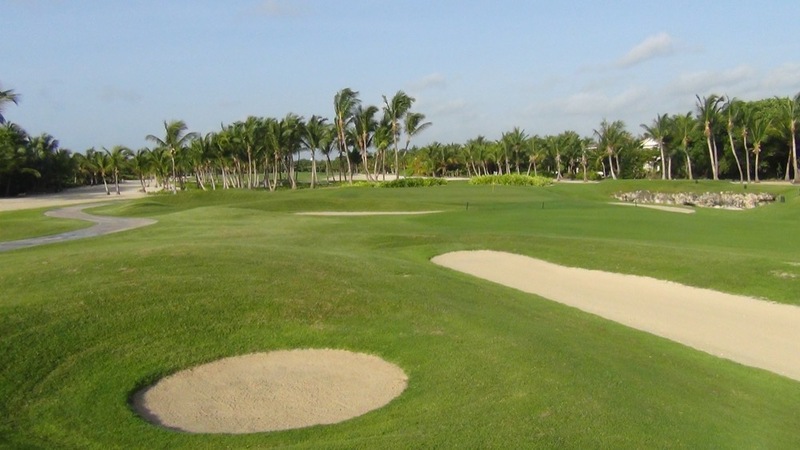 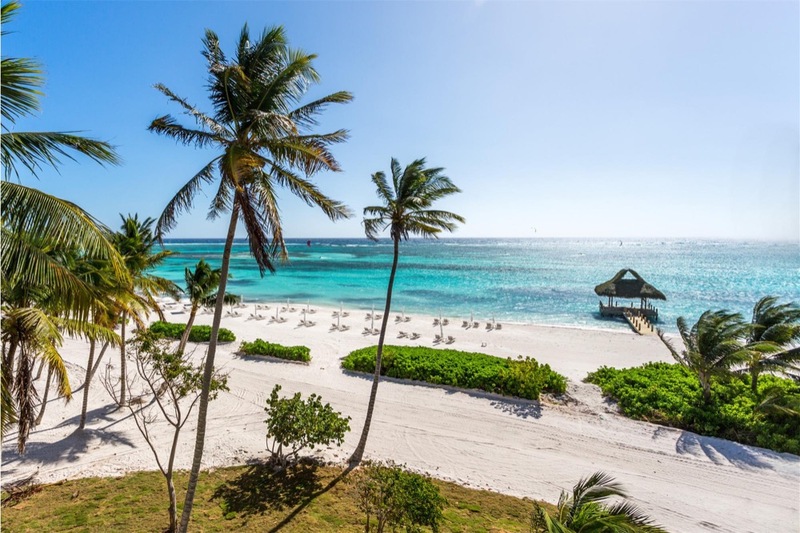 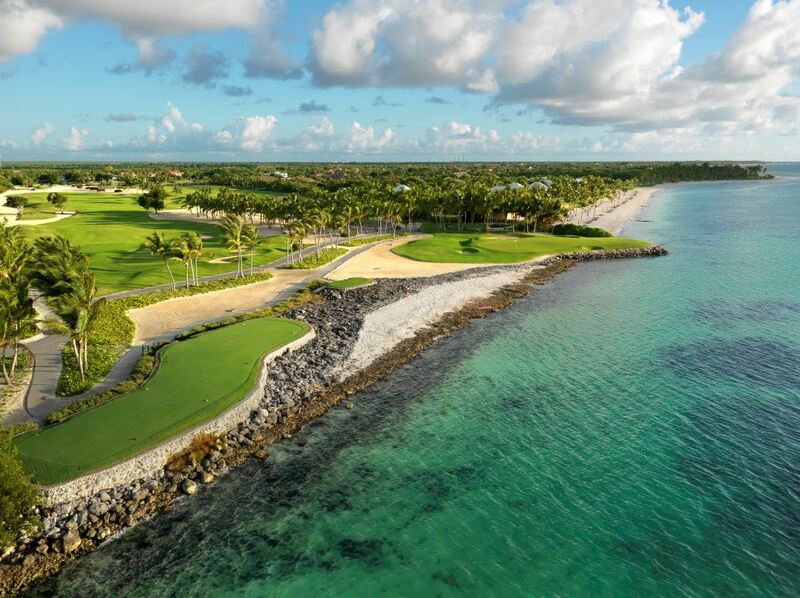 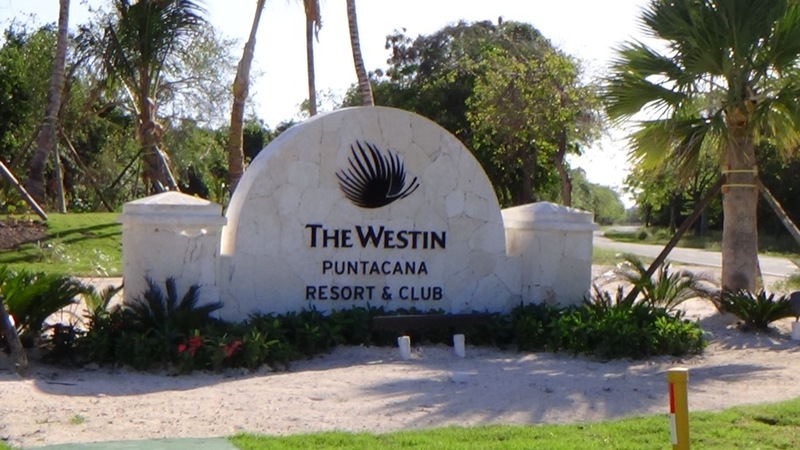 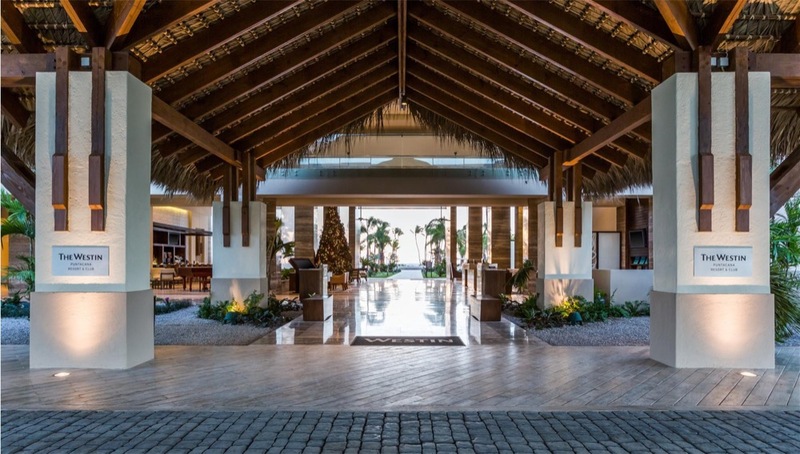 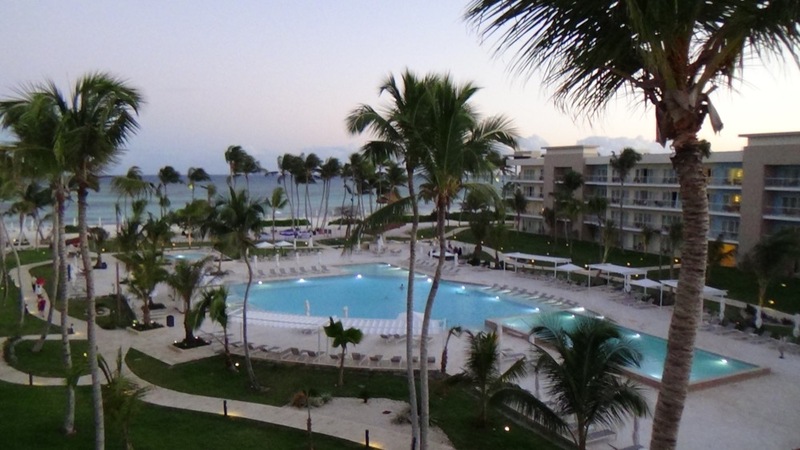 La Cana Golf Club doesn’t quite hit you over the head with heroic golf opportunities but La Cana is fun, it’s beautiful, and it’s close to the Westin Puntacana Resort which means that it’s convenient to one of the best places to stay! 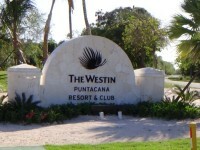 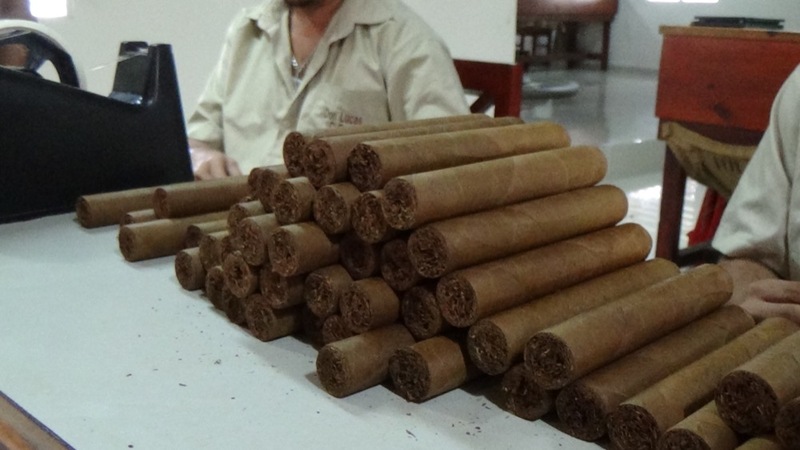 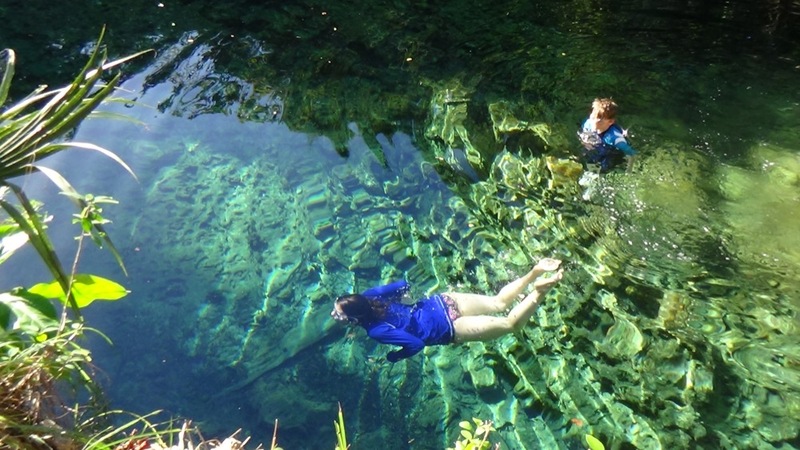 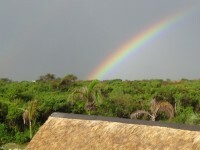 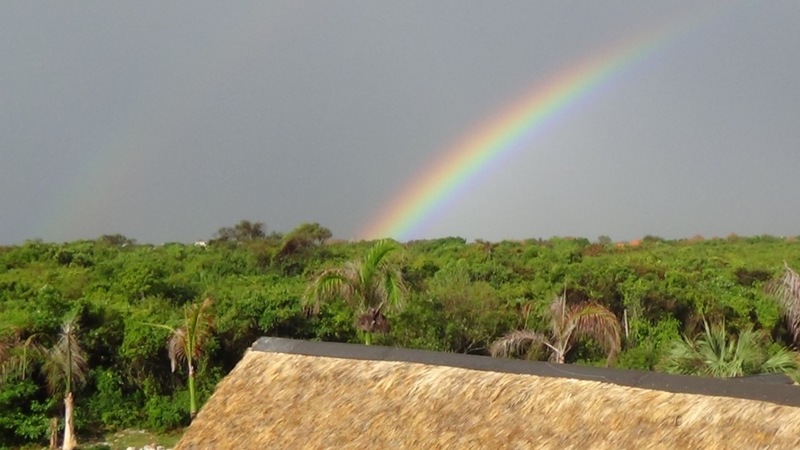 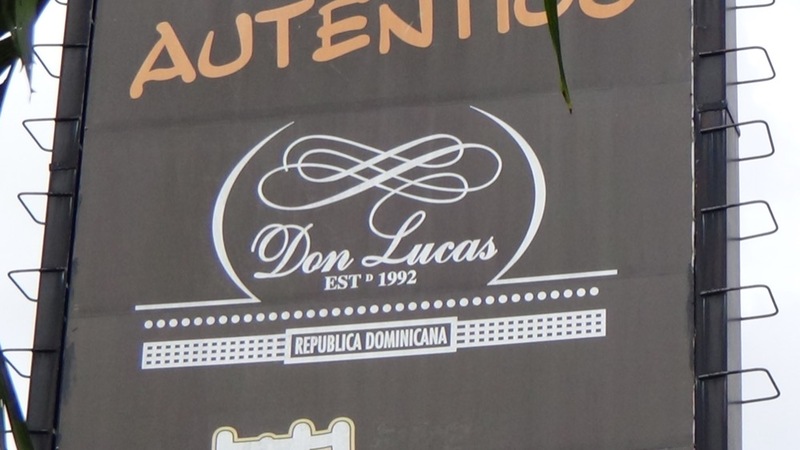 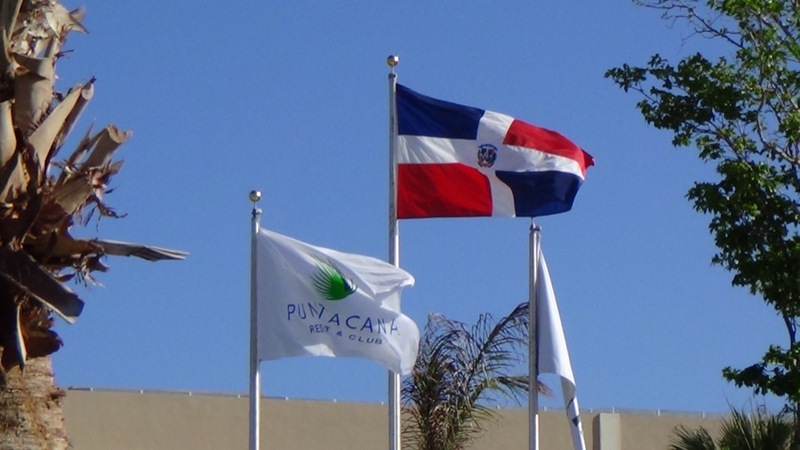 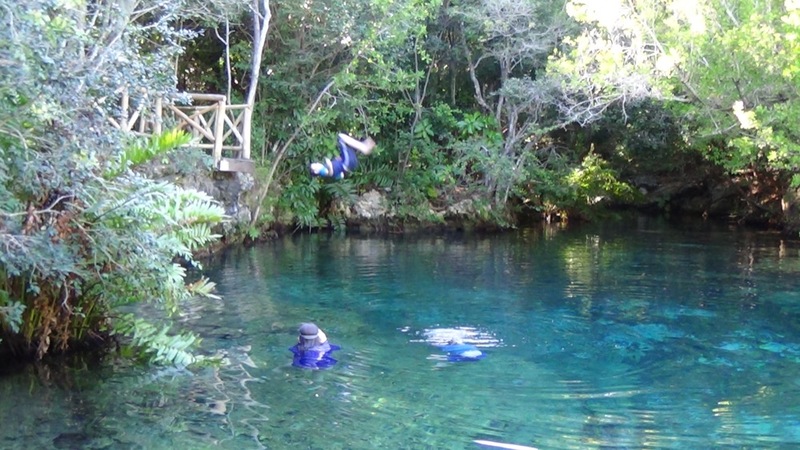 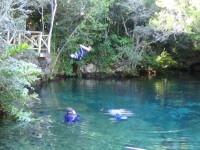 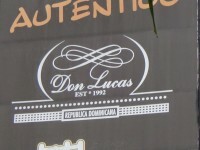 Which also means, it can’t be missed if you’re staying in the Punta Cana area!